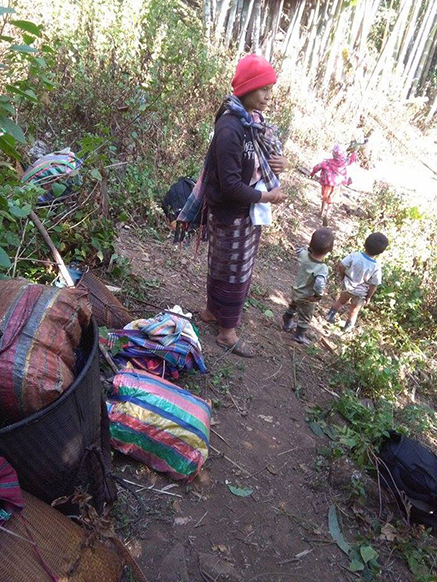 In northern Karen State, in an area considered part of the ceasefire, recent Burma Army troop build-ups, shooting at villagers, and killing of livestock have caused 1,736 people from 14 villages to flee to safer areas. The villages include: Ler Mu Plaw, Yee Gaw Lo Der, Blaw Koh, Kaw Ter Der, Htee Keh Kee, Kay Pu, Baw Lay Der, Ta Keh Der, Bo Nar Der/ Tokho Mu Der, Gay Thoo Khi, Sho Per Kho, Loh Ko, Tha May Khi, Thay Thoo Khi. Muthraw District’s northernmost township, Luthaw, has been the site of recent fighting between the Burma Army and Karen National Liberation Army (KNLA, the armed branch of the Karen National Union). 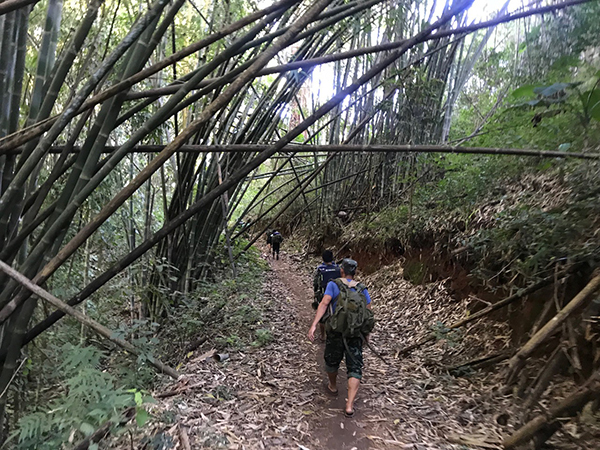 This area of Karen State had made an agreement with the Burma Army that they are only allowed to supply their camps by foot or pack animal and must stay within 50 feet of the road. However, Burma Army troops under eight battalions (LIB 20, LIB 351, LIB 435, LIB 598, LIB 558, LIB 432, LIB 596, LIB 560) have now arrived with trucks and bulldozers to try and build a road through Karen villages and agriculture fields. An FBR relief team moves down a road in January that the Burma army had abandoned but are now attacking and rebuilding. 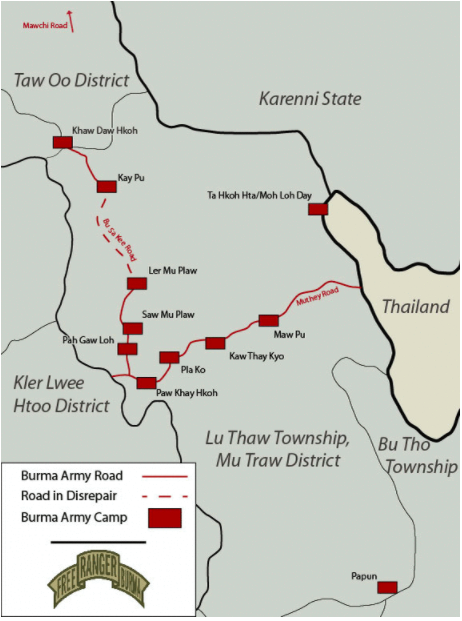 During the Burma Army offensive of 2006 and 2007 the Burma Army built a north-south road connecting their camps of Ler Mu Plaw and Kay Pu. Many smaller camps were also built along this roadway. The KNLA fought to regain this area and by the end of 2011 the Burma Army no longer used the road between Ler Mu Plaw and Kay Pu and had withdrawn from the camps in between. After the signing of the preliminary ceasefire agreement in January 2012, villagers waited for a few years to see if the peace would last and if they could trust the Burma Army to uphold their agreement to the ceasefire. Starting in 2013 villagers began farming again in areas close to the now-abandoned Burma Army camp and in 2017, many villagers who had been displaced since 2006 or earlier began moving back to the area between Ler Mu Plaw and Kay Pu. Three of these who returned were two young girls and a boy, shot nine years ago by the Burma Army. We had helped them then and now they are grown and the girls are mothers. 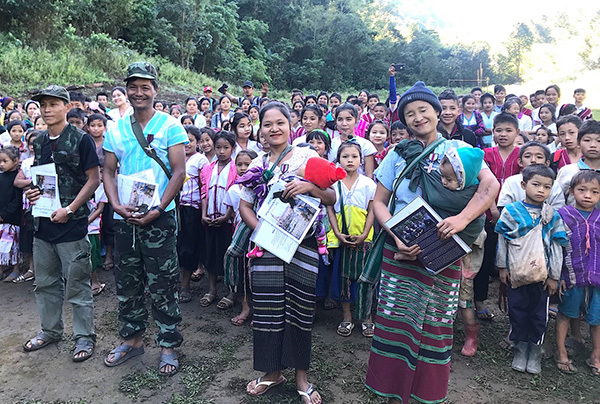 We met them recently on our January relief mission to Ler Mu Plaw and their story is told in the FBR report, “Do you remember me?” A Follow-Up Report on an 8-Year-Old Girl Shot by the Burma Army”. They told us they hoped never to run again. 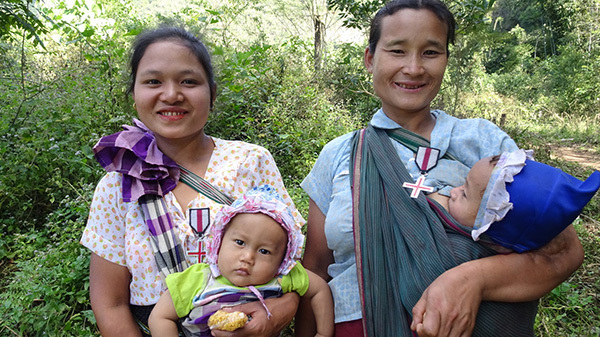 Because of these new Burma Army attacks, they are running again, this time with babies. Naw Moo Day Wah, her baby and Naw Ler Per and one of her children with medals we gave them before these latest attacks. Naw Moo Day Wah, Naw Per Ler and villagers we honored at the new village site in January 2018. The villagers have since been forced to flee. FBR reported extensively on the original attacks that led to the building of this road in 2006 and 2007. The report is called Campaign of Brutality. In January of 2013 we reported from this area as Burma Army was improving many camps in this area. A map of Burma Army positions in Luthaw Township from our 2013 report. At 1:40 p.m. the Burma Army troops shot at a villager, Saw Tha Aye, and his friends who cross the road close to Sheh Kyo and Ta Keh Der village. No one was wounded. At 6:00 p.m. the Burma Army shot at a villager, Saw Ko Lah Pya, close to Kaw Ter Der village while crossing road. No injuries. Burma Army and KNLA clash two times along the car road in Luthaw township. At 10:00 a.m. the Burma Army from Hsa Law Kyo camp shot mortars and machine gun to Paw Na Kyo. One mortar round landed close to Tha May See and Kay Pu rice field. At 10:00 a.m., the Burma Army shot at a villager, Saw Dah Bay. No injuries. At 12:00 p.m., Burma Army troops enter Ler Mu Plaw. At 12:23 p.m., fighting between KNLA and Burma Army at Ler Mu Plaw. It lasted 10 minutes but no casualty. At 1:00 p.m., the Burma Army flew reconnaissance drone and shot guns in many different directions. At 8:40 p.m., the Burma Army killed two buffalos in Ler Mu Plaw. At 9:00 a.m., Burma Army troops from Kay Pu camp went down to Baw Na Jo and shot at one Karen home guard soldier. At 5:00 a.m., a Karen home guard attacked Burma Army troops.